Join us to hear stories and passion from those that have surrendered to a Gospel Allegiance. You won't want to miss another awesome Renew Gathering where we equip and encourage as together, we renew the teachings of Jesus to fuel disciple making. 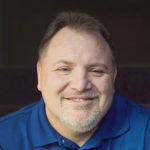 Bobby is the point-leader of Renew.org and Discipleship.org, both collaborative, disciple-making organizations. He is the founding and lead pastor of Harpeth Christina Church (by the Harpeth River, just outside of Nashville, TN). He has an M.A.R. and an M.Div. from Harding School of Theology and a Doctor of Ministry degree from the Southern Baptist Theological Seminary. 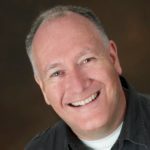 He is the author of more than 10 books on discipleship, including Discipleshift (with Jim Putman and Robert Coleman), The Disciple Maker’s Handbook (with Josh Patrick) and Becoming a Disciple Maker: The Pursuit of Level 5 Disciple Making (with Greg Weins). He lives in the greater Nashville area with his wife and near his children and grandchildren. Dave is a disciple, husband, and dad to 3 young boys. Along with his wife, he planted and helps lead Ethos Church, a young, urban church in Nashville, TN that is passionate about reaching the lost, serving the poor, and releasing ordinary people to plant churches all over the world. 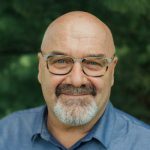 In addition, he is the founder and lead visionary for Onward, a global family of leaders who are committed to making disciples and planting churches across the world and Awaken Nashville, a city wide movement unifying churches in strategic initiatives of prayer and fasting in the greater Nashville area. David Young grew up in the churches of Christ in Middle Tennessee, where he began preaching at the age of 16. He currently serves as the senior minister for the North Boulevard Church of Christ in Murfreesboro, Tennessee. He has worked for churches in Missouri, Kansas, and Tennessee, taught New Testament at several colleges, and traveled widely teaching and preaching, leading mission trips and hosting tours to the Holy Lands and to other religious sites. 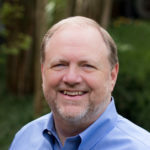 He has published chapters in several books, has circulated numerous papers, and has published several books, including New Day: Restoring the Revolutionary Mission of Christ’s Church, Alive in the Spirit: A Biblical Theology of the Holy Spirit and Extreme Discipleship: Following Jesus from the Gospel of Mark. He holds the B.A. from Freed-Hardeman University, the M.A. from Harding University Graduate School of Religion, and the M.A. and Ph.D. in New Testament from Vanderbilt University. David and his wife, Julie, have two redheaded children, Rachel and Jonathan. Guy Hammond started Strength in Weakness ministry which has helped thousands in 58 countries. He has taught over 100,000 people in churches, universities and faith based groups globally, has written 6 books and had a documentary movie made about his life and ministry called FINDING GUY. Before becoming a Christian Guy lived an active gay life until he was 24 years old. After becoming a Christian he left that life behind forever. He married his best friend Cathy in 1991 and we has 4 amazing kids. Guy is a news junkie, loves anything political, loves to read, and is an avid hockey and baseball fan. Joanne Kraft is a nonfiction author and national speaker. Her passion is for women to catch the Titus 2 vision of discipleship. Author of The Mean Mom’s Guide to Raising Great Kids and Just too Busy — Taking Your Family on a Radical Sabbatical, she’s a frequent guest on Focus on the Family, Family Life Today and CBN. Her articles have appeared in ParentLife, Today’s Christian Woman, In Touch, P31 Woman and more. Her newest venture is her podcast Grace & Truth Living, helping women to trust and follow Jesus in their everyday life. Joanne and her husband, Paul, once lifelong Californians, moved their family to Tennessee in 2012. They’ve happily traded soy milk and arugula for sweet tea and biscuits. Shodankeh Johnson is part of the Core Team of New Generations. He is responsible for the mobilization of intercessors across all regions and the training of Disciple Making Movement (DMM) leaders in the ‘pioneer places’ where the gospel has never been or has never flourished. In addition, Shodankeh provides DMM training for movement-minded ministries around the world. Shodankeh is also the leader of New Harvest ministries in Sierra Leone, West Africa. New Harvest is an indigenous DMM organization that plants churches throughout the region and incorporates a wide-spectrum of ministries such as compassion, business development, leadership development, skills training and advanced education. If the registration window below does not appear, please CLICK HERE.